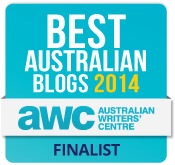 I must say, I’m happy to be writing this You Yangs post. It’s Friday afternoon, work is done, it’s still daylight, yet I feel like going to bed. Talk about feeling stuffed. The bonus is this entry will be quick and with only a handful of photos I reckon I can write it and hit publish within an hour. Is it possible? 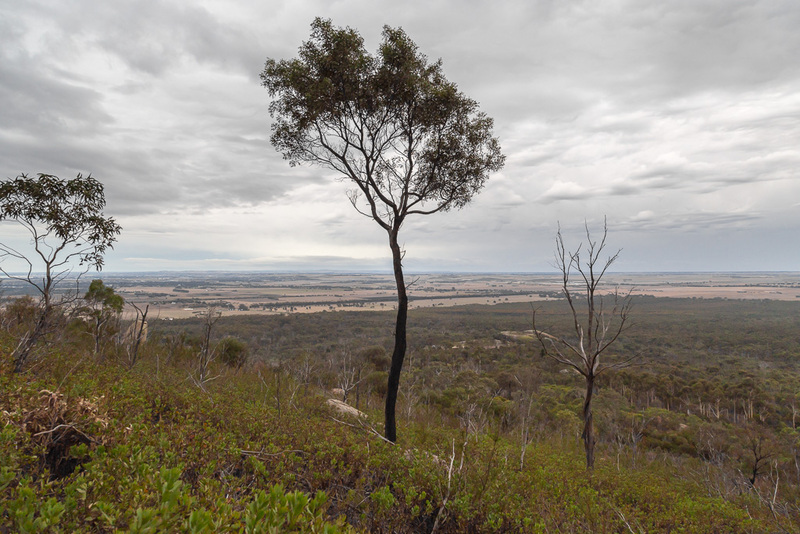 My last post described a stroll up Flinders Peak in the You Yangs, whilst accompanied by a multitude of sweating hordes on a Sunday afternoon. This walk starts from the same place as the rush hour stroll, but there’s a big difference. No one seems to do it. I had a punter-free run, whilst wandering this underrated walk. Oh yeah, there was definitely a surprise at the end, which is the reason I decided to write up these You Yang walks at all. 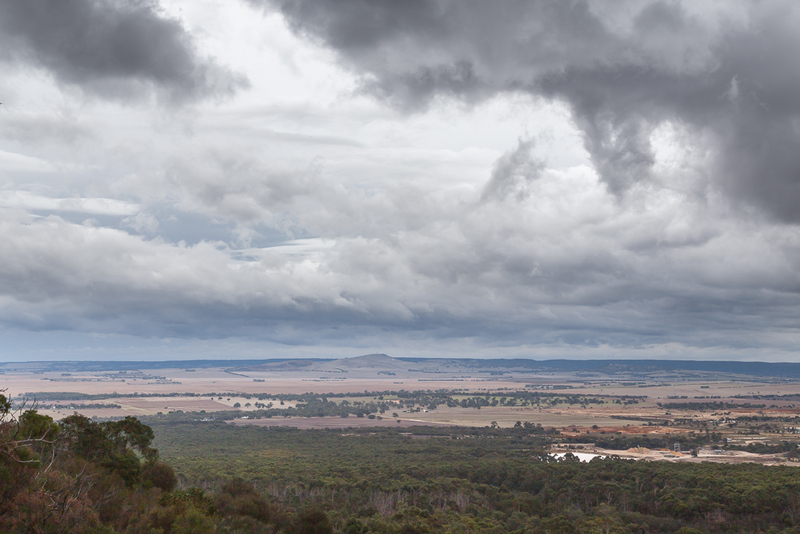 Now, whoever named this short walk which circles Flinders Peak, certainly didn’t test their imagination too much. “Okay, this walk runs east, but then goes west. What shall we call it?” Oh yeah, East/West Walk is its name and maybe a nondescript title puts people off? Who knows, but it was a bonus for me. There really isn’t much to write about, so I might as well get into it. After a steady climb I was impressed by the views from the track. The sky was a little strange though and for a moment it looked as if a lenticular cloud was forming. Almost. See the cloud in the middle? It seemed to be developing the lenticular shape, before turning into a stretched out mess. Can you see what I mean? If not, how about this method. Look at the cloud and then close your eyes. Now get your partner to clock you across the back of your head with a large, rubber mallet. Now open your eyes and look at the cloud again. It’s lenticular, isn’t it? 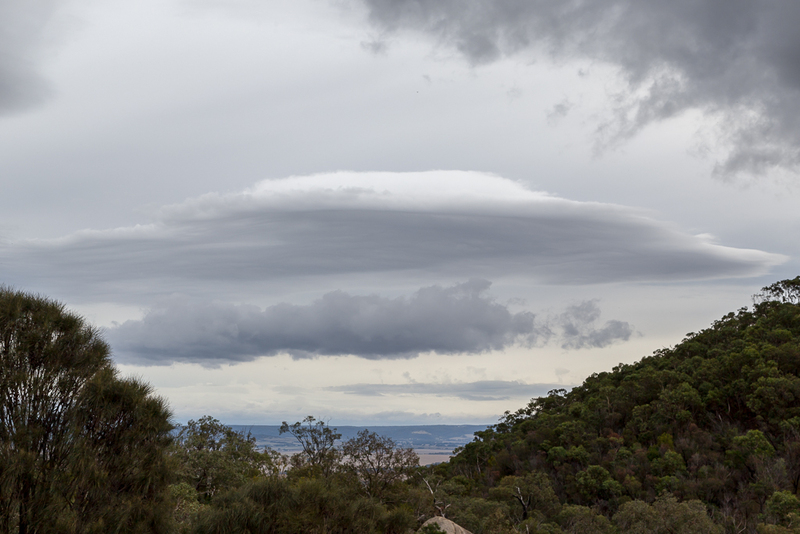 Maybe I’m getting delirious, but that can happen when you’re a cloud-nut who’s never seen a lenticular in the flesh. The views kept coming, but I also continued keeping an eye on the clouds, as they were potentially photo-worthy. The open vista was impressive, but so were the various rocks and boulders lying around. I do like big rocks. If you’re repeating that last sentence to anyone, ensure you get it right because if you slip up, the person you’re talking to might raise their eyebrows a little bit. 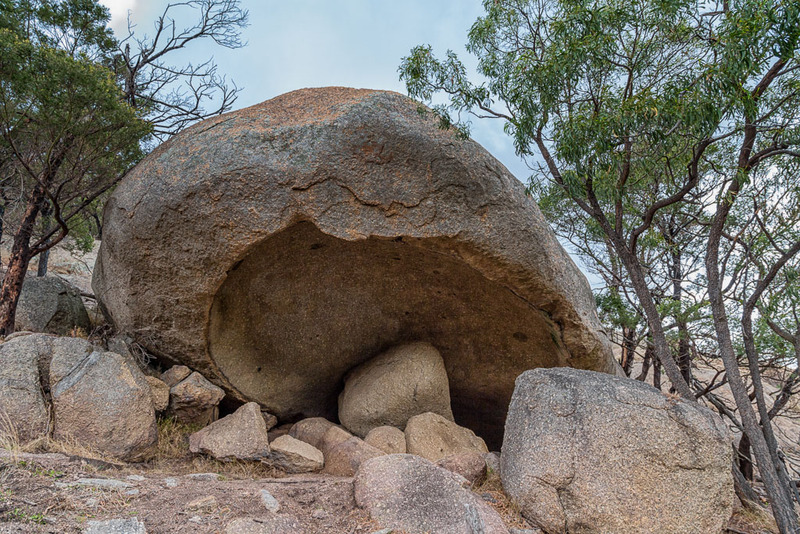 One interesting boulder is noted as an old Aboriginal shelter. Until seeing it, I was a bit sceptical, but on close inspection it was a beauty. If the weather was crap, this is the rock to shelter under. The photo doesn’t really show how enormous it is. 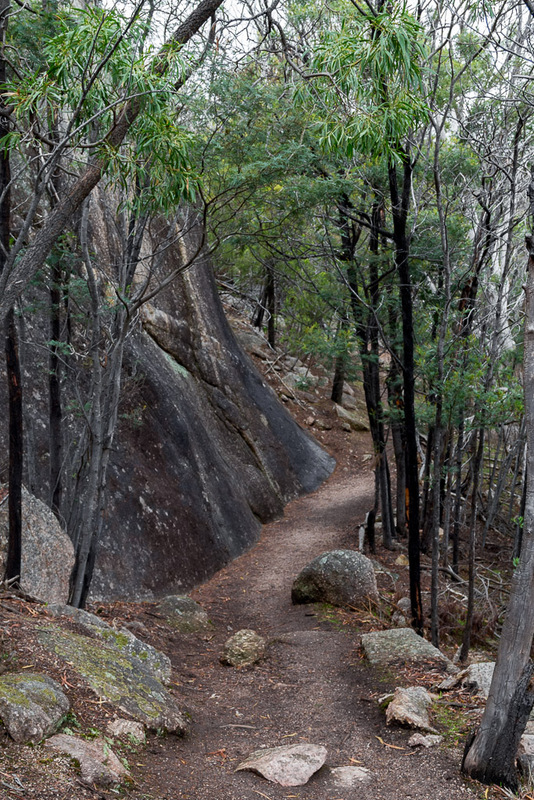 …and some sections where the track was hemmed against the granite. …but the worse thing about the whole place is it’s over too quick. This is only a 5 km walk and I’d knocked it off in no time. I wish it was twice that length. I suppose I could just keep doing laps all day and turn it into an epic? Umm… No. Even I wouldn’t do something as dumb as that. It was a shame to see the car park come into view so quickly, but there was a little bit of magic left up the East/West sleeve. Only a few hundred metres from the bitumen I saw an object in a tree and its shape was mighty familiar, but at first I thought I was seeing things. I may have rubbed my eyes in order to convince myself I was actually seeing a koala climbing, but there’s no mistaking that shape. It certainly wasn’t his sort of tree for eating, so maybe he snuck up there when he heard my thumping feet approaching? I didn’t want to get too close, but the zoom lens was on my side. Luckily for me, I was able focus on our furry friend, rather than the branches in front of him. Strolling behind, I took another photo and although he was keeping a fairly close eye on me, he seemed non-plussed. 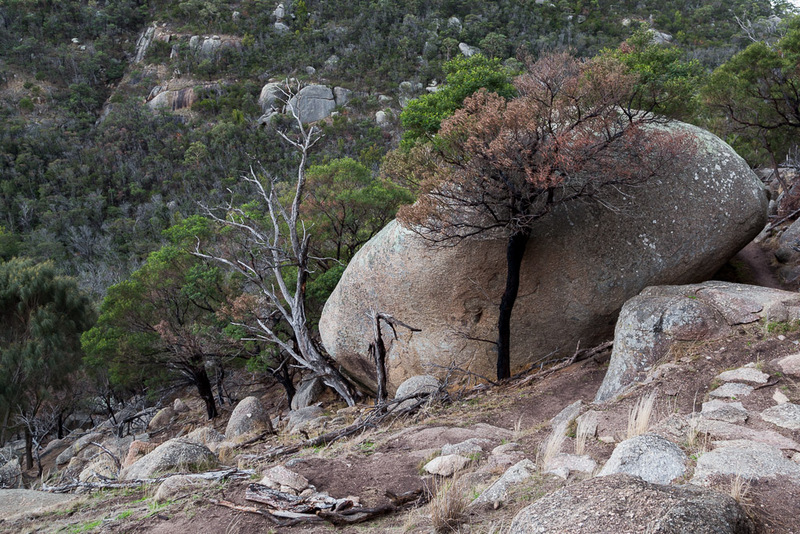 Can you see why I had to write up the You Yangs walks? 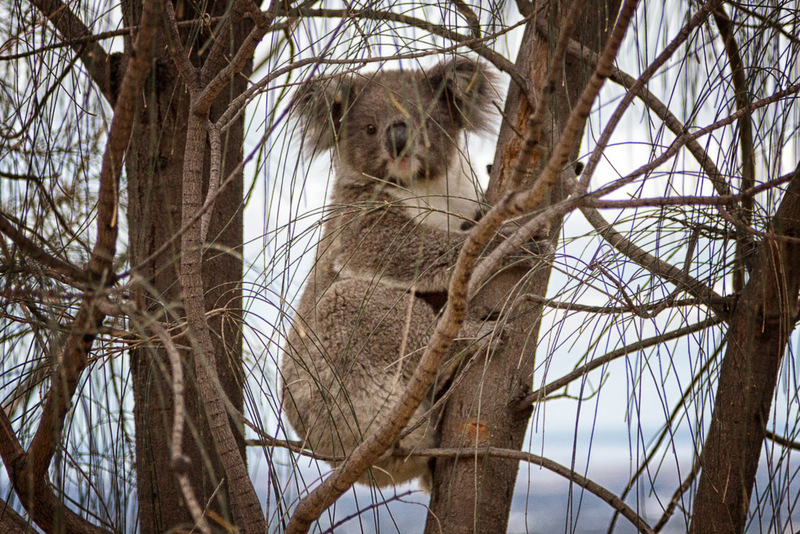 Seeing a koala in the wild is always a special moment and come to think of it, I can’t say I’ve seen any on walks since the Great Ocean Walk from a few years ago. There you go. That’s the walk done. How easy was this post? No need to dig in for the long haul, as it was over before it even got going. The East/West Walk, You Yangs Regional Park is a great little walk though, with plenty of views, big rocks and some native wildlife. There was a last piece of comedy when I perused the GPS. Remember how I said it was only 5 km? Well, I lied. It was 4.59. No wonder I was finishing before getting out of first gear. It took me under an hour to read. Case for me to cough up for DSLR reinforced by your pics. Clouds look amazing. Off to Heathcote for my Sundays in September stroll this weekend. Good luck cranking it out next week. I've tried using lighter, my hiking friendly, smaller cameras, but I need the oomph of a DSLR viewfinder. I also find a DSLR menu a lot simpler than some compacts! Heathcote is nice. I've got a Mt Ida post from last summer I haven't written about yet! I've got more stuff on the 'post' backburner than I can control. You should give a cloud photo workshop. These ones are straight out of Tolkien via Peter Jackson! 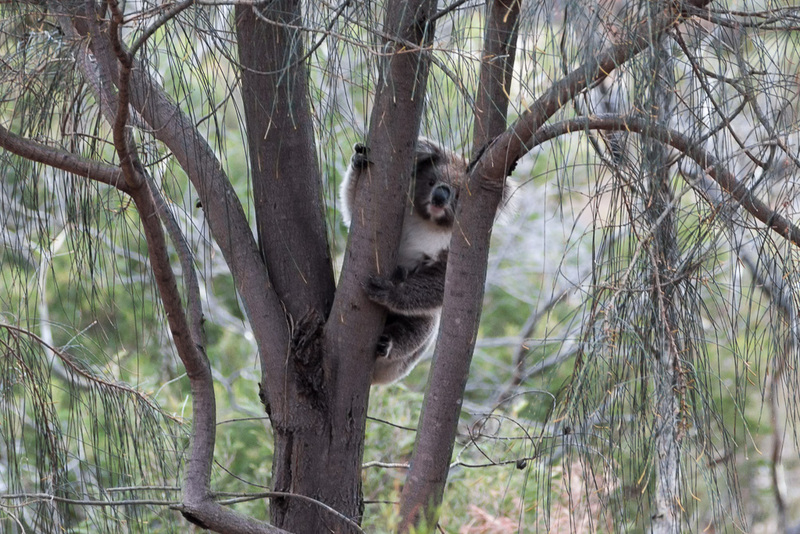 I've heard of koalas being in the You Yangs, but never did I think I'd see one, plus in such a public area. He was only a few hundred metres from the car park. You're right. The GOW is the only place where I've seen them on tap! Pretty rare sighting otherwise or maybe I'm blind. Look, the clouds are a little mental. I can't say I'm happy with them, as they didn't exactly look like this to my eye on the day! Oh, now I know which walk you’re talking about, I can say I did love this walk as well! Really surprising, as I always thought of the You Yangs as pretty gentrified and Flinders Peak is always busy, but this was nothing like it. Always thought I’d do it again, but just haven’t got around to it. Oh yeah, it wasn’t one of my better moments! Actually, that Lerderderg walk was one of my favourites of that area. The washed in timber would have to still be there, as there was so much of it. Maybe?! 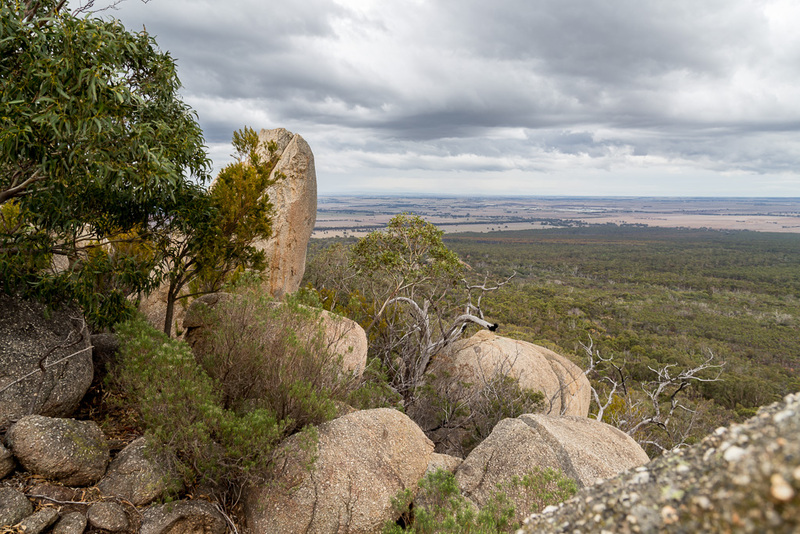 greg, there seems to be new track in the park – Northern ranges” track, this is in the new version of the parkweb youyangs map. we walked this – only 8 k or so but can be joined onto branding yard trails or even east west walk bit. VERy surprising and interesting!! get the new map! 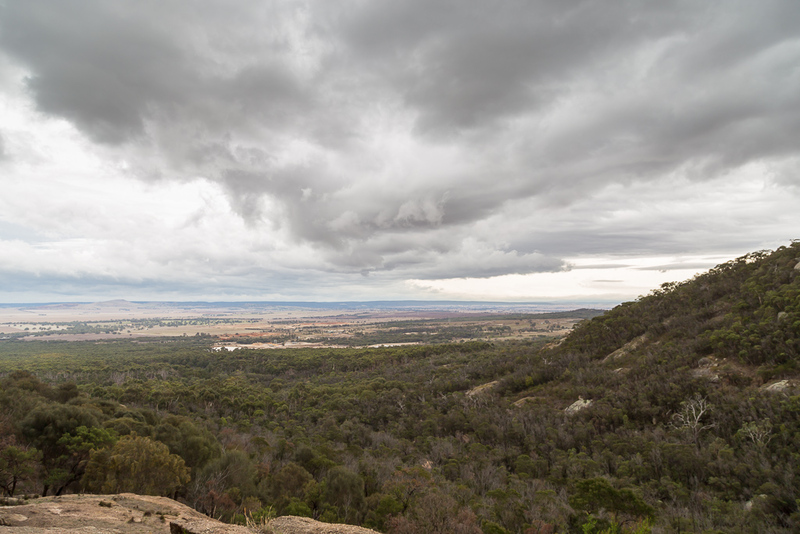 gave me even more respect for youyangs as a walk place esp if you live close. great views, as good but different to east west walk. you should check it out if you’ve been everywhere else. you may, as we were lucky to, look across to some big rock on the skyline and see what looks like a small tree on top, begin to abseil down the side of the rock! ps my only koala story in that area is riding around the youyangs, seeing one cross the road and me waving and pointing to a truck coming toward us, to say “hey slow down look whats on the road in front of us!” (truck turned off anyway, into a sandmining place’s gate), then I proceeded to stop. 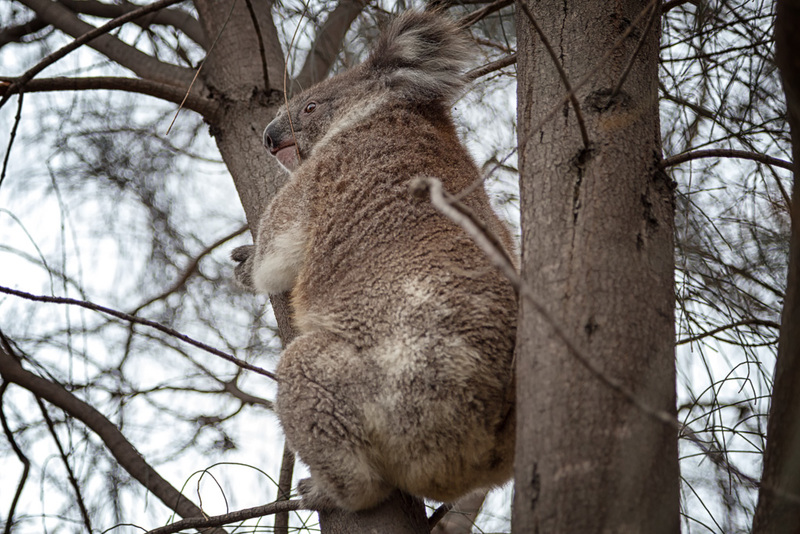 and watch this koala walk up the tree around 20 feet. the sound of the claws, the power and ease of it doing this was absolutely mindblowing and a memory forever.